‘Grace’ is a combination of designs stemming from those produced by pupils at Cleeve Primary School. The pupils designed moths individually, creating a mosaic after researching Amy Johnson and the period of time she lived in. The collection of designs were finalised into a display inspired by the glamour and culture of the 1930s, detailing buildings and patterns. The moth has a limited colour palette of red, black and white and the reflective quality of mirrors. 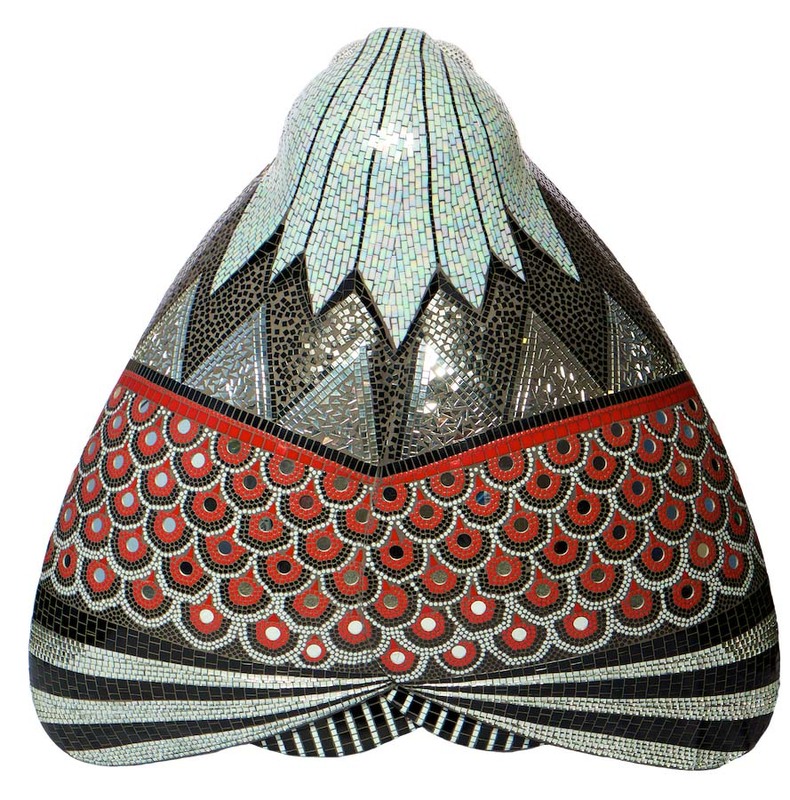 Mosaic artist, Natalie Guy, worked with manager of North Point Shopping Centre, Louise Smith, and the centre’s chosen school, Cleeve Primary School, to create this moth. Year 4 pupils at the school were asked to mosaic ‘fans’ to contribute to the final design. Their work was then adapted into the end result and produced by Natalie. Natalie became a mosaic artist following a successful career in fashion and teaching. She now runs workshops and takes on mosaic commissions for public and private exhibition. North Point Shopping Centre has served the local community in Bransholme for over 40 years, famed for its low prices and friendly atmosphere. The centre offers over 60 retailers and services, including high street shops and independent traders. The covered market is also home to 30 stallholders, offering local produce and a traditional shopping experience.